Dubai-UAE: 30 November, 2010 – Dr. Salem Al Darmaki, Acting Director General of the Ministry of Health, today officially inaugurated the state-of-the-art Nucleotide Laboratory Complex at Dubai Biotechnology and Research Park (DuBiotech), the Middle East's leading business park dedicated to the life sciences industry and a member of TECOM Investments. 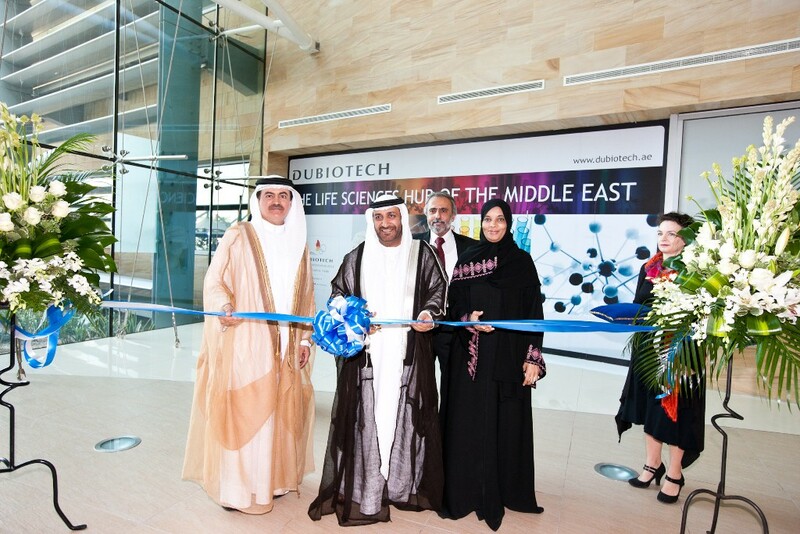 Dr. Al Darmaki inaugurated the complex in the presence of DuBiotech Director of Business Development Marwan Abdulaziz, as well as top officials and representatives from many of the leading life sciences companies that have set up operations at DuBiotech. Comprising 'A, C, T and G' wings, the Nucleotide Laboratory Complex has been named after the four basic building blocks of nucleic acids, the main components of genetic material. Dr. Al Darmaki also unveiled the Leadership in Energy and Environmental Design (LEED) Silver Certification Plaque that was awarded in recognition of the laboratory’s green building credentials – the first such building in the Middle East. Abdulaziz said: “We are honoured to receive Dr. Al Darmaki at DuBiotech to inaugurate the complex. As the region’s first and premier free zone dedicated to the life sciences industry, we have invested significantly in infrastructure facilities to offer customised solutions that meet industry requirements. The Nucleotide Laboratory Complex is designed to house biotech, life sciences and pharmaceutical activities ranging from research and development, diagnostic, analytical and equipment training activities. Its core and shell lab space can accommodate up to 160 laboratory units that are designed to meet Class III of Bio-safety Standards/ Guidelines. Launched under the directive of Dubai’s leadership, DuBiotech will eventually expand to include 25 warehouse facilities for manufacturing and distribution activities and office space in a landmark Bio-Headquarters building. Business centres for companies seeking to test the market prior to extending their commitment in the free zone are also on offer in addition to land available for new manufacturing plants and logistic platforms.